Erythrodiplax minuscula (Little Blue Dragonlet) ♀. Size: approx. 30 mm. Photo: 09/10/11, 10 am. This is an unconfirmed identification that is mainly based on a very similar photo in Giff Beaton's book on "Dragonflies and Damselflies of Georgia and the Southeast". I believe it is a Little Blue Dragonlet (Erythrodiplax minuscula). 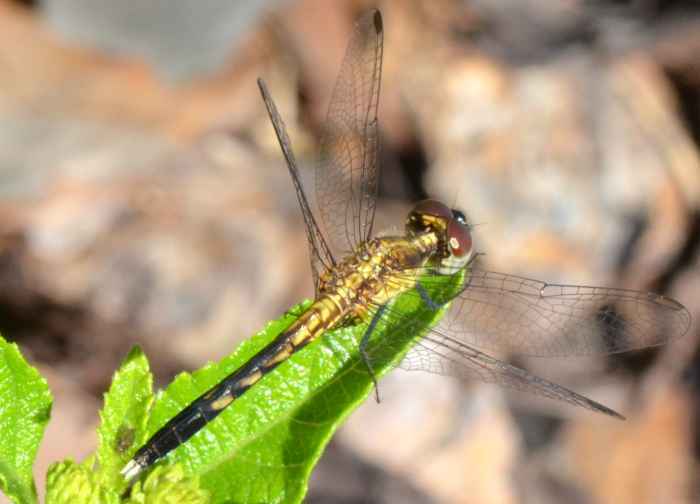 This skimmer is one of North America's smallest dragonflies. Adult males are blue.